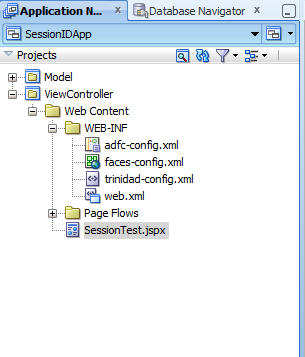 By Default, every ADF Application writes a JSESSIONID Cookie which maintains the session across the ADF application. The name JSESSIONID is default and can be seen in browser cookies. Use Case : There might be scenario where this default name required to be changed. One example can be that there is a requirement for running two applications , one ADF Application and other might be existing application. 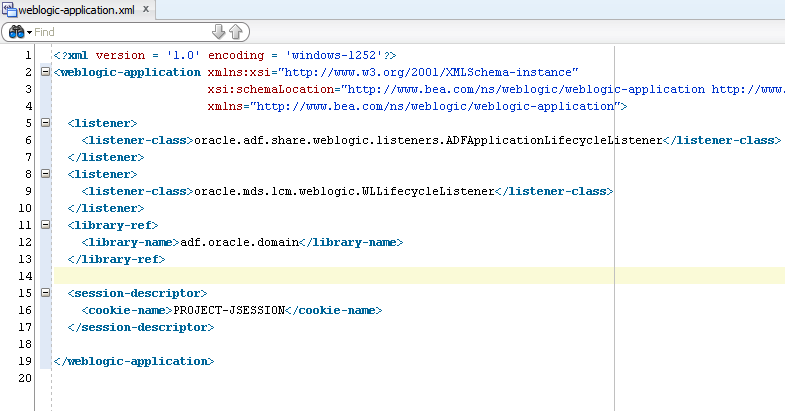 The existing application already use JSESSIONID as cookie name for session management. In that case there will be a conflict between the two applications. In order to solve this we need to give different name of SessionId for ADF Application. Created a simple page SessionTest.jspx with output text Session Test Page. We see the default JSESSIONID. 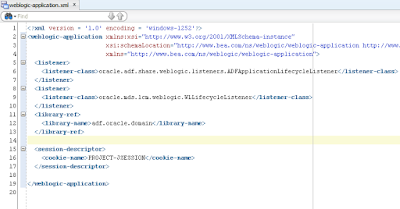 Now to change this to other name , we need to make an entery in weblogic-application.xml. We need to add <session-descriptor> and value of Session Id. In our example we added PROJECT-JSESSION. Now redeploy the application and run the page. Again see the cookie in Mozilla. So the name of JSESSION ID is changed and we can save name conflicts for this particular type of requirement. Hi Rohan, very good info, great effort, thanks for providing in-depth information on Oracle ADF Technology. Please continue sharing. when i add it doesn't allow(error). I am using Jdev 12c(12.2.1.0).